What inspires you to continuously improve and achieve your goals? Avon Representative Georgiana shares the story of her success and the confidence she gains from selling Avon products. As an architectural designer, Georgiana has an eye for aesthetics. From anti-aging serums to romantic fragrances, she offers products that bring out the best in others while securing a bright future for herself and her loved ones. Avon is a trusted brand in beauty because each and every product wins life-long loyalty. Mega-Effects Mascara has a unique wand that coats lashes for stunning, clump-free volume. Pair with Ultra Color Bold Lipstick in Fearless Fuschia or one of seven other powerfully pigmented shades and you’ll feel ready to take on anything. 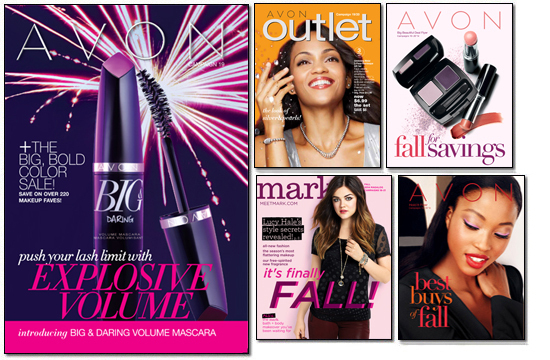 If you’re ready to take charge of your life and make it beautiful, click the link below to become an Avon Representative today! or to buy http://igrooms.avonrepresentative.com/ Your investment of only $15 will get you the rewards you’ve been missing why not JOIN TODAY?